This road was constructed by the PF a few months ago using K390.8 million borrowed money. This money has not been paid back. 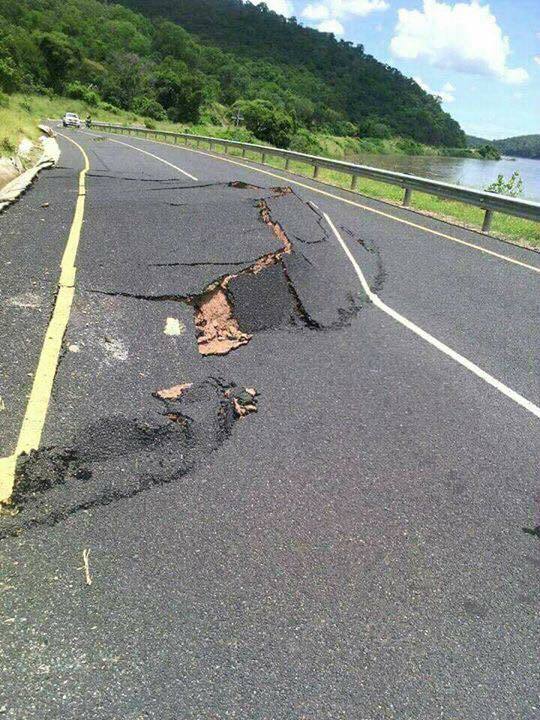 It is called D145 and connects Luangwa to Feira district, was ‘constructed by by China Geo under the so called Link Zambia 8000 road project, which the PF used to siphon and plunder money. When a proper and functioning government is put in place, these are some of the projects that will have to be investigated. Even PF cadres themselves are shocked at the level of PF theft. Luangwa District council Chairman, Austin Bota and some members of the District Joint Security Committee who visited the damaged road stretching for 5KM from the Great East Road were shocked at the damage done on the road which has left only one lane passable. 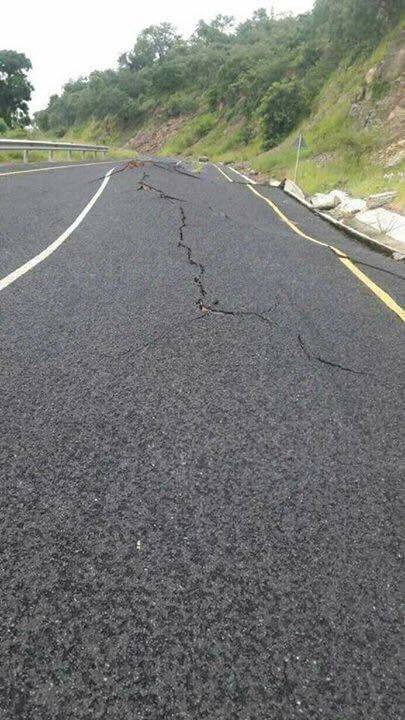 Bota could not believe the damage done on the road fearing that the District might be cut off from the Great East road.